Craving a healthier snack alternative that's packed with protein and minerals? 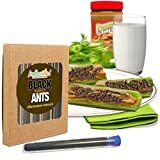 I bet you never thought about ants. Yep, just open up a can of these cool new Takeo Tokyo Edible Black Ants and munch away. 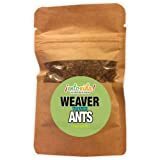 Each can is filled with 100% dehydrated Polyrhachis black ants that are salted yet retain their earthy natural sweetness and can either be eaten alone or sprinkled over salads, pizza, rice, pasta, or even over celery topped with peanut butter for authentic ants on a log. Hmm, I wonder if they can be freshly cracked like peppercorns in a pepper mill? 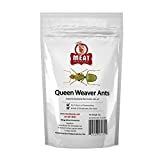 Unfortunately, ants are not suitable for people with shellfish allergies, but for everyone else, aren't you just a bit curious to try them? Check out the documentary below to see how eating bugs could save the world. Yum!